Laneon has been skating for Enuff for a little while now, so we wanted you guys to get to know him a little more. Here's a little Q&A we did with him recently. Ever since i could walk, i started skating because both my older brothers did. Had you heard of the Enuff brand before and where did you hear about it? My first board was an Enuff board because my brothers started off with them and I used their old ones. When I was 4 I got my own mini Enuff board for Christmas, which I've still got at home. A younger skater, so more kids start skateboarding. My favourite professional was Lucus Puig because my brothers used to watch him a lot. Our local legend down Plaza would definitely be Sam Bosworth. Skaters who can skate both ramp and street. My favourite skateboarders are Miles Silvas, Trevor Colden and Ishod Wair. I skate mostly with the Plaza crew. There's a good amount of us that go down there daily. My brothers' friends take me skating. I skate a lot with them and older people. I've got a few friends my age that skate in Newlyn School who i skate with as well. My all-time favourite is Almost 5 Inches and Fully Flared. I'm into LRG 1947 and Real Since Day One at the moment. I like to try and skate everything, but I'd say I'm more comfortable skating street. What was the last trick you learned? What are the next three tricks on your hit list that you would love to learn? BS 360'S and switch FS heels. The next three tricks I want to get are front and back smiths and nollie inward heels. Are there any video parts you are working on personally which we will see in the near future, or any competitions coming up that you plan to enter? 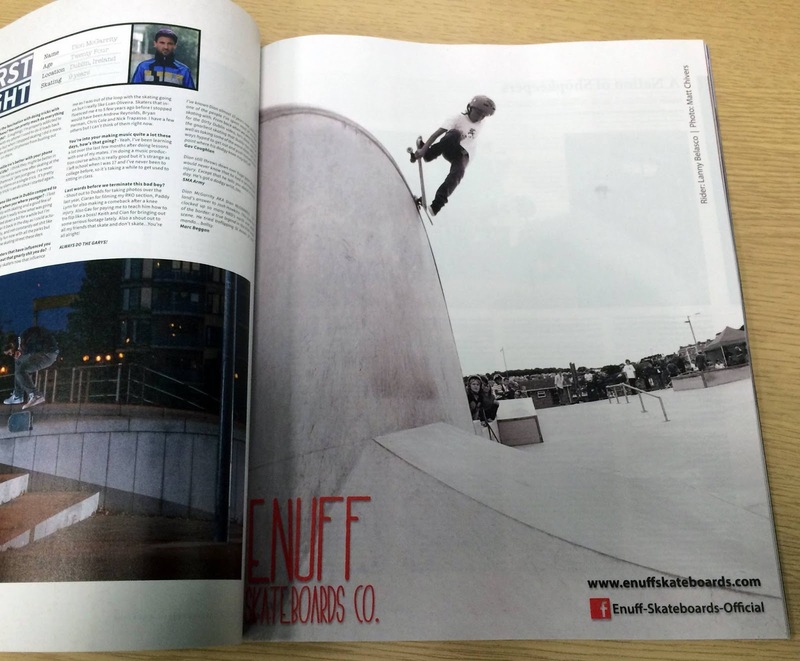 I'm working on a video at the moment for Enuff skateboards, REKD protection, Southshore Surf & Skate and Etnies footwear. I'm in spain during the summer holidays so I think Im going to miss the usual competitions. I'd love to skate around the world, and do as much as possible in skateboarding. The main place I want to visit is Barcelona.